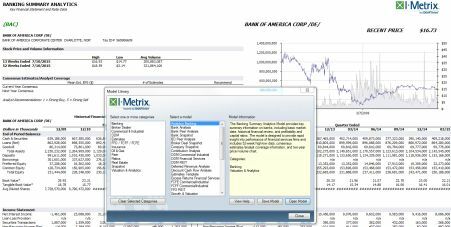 I-Metrix is an interactive data and analytic tool that provides quick and accurate XBRL-tagged financial statement data via Microsoft Excel® and an easy-to-use web interface for data downloads, simple and complex modeling and better, faster and smarter financial analysis and company research. 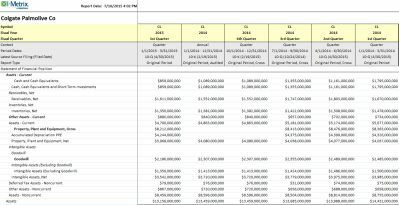 Four XBRL fundamental data sets provide varying degrees from treetop to as-reported to highly-granular with pre-calculated ratios including industry, sector and SIC mean and median. Data includes Institutional and Insider ownership, IPO/SPO summaries and details. For pricing and additional information, call 212.658.5711 or visit us here.